I found a very interesting Star Trek Alternative Universe on page 34 of All Our Yesterdays called Khan Ascendant. This gave me the idea for an Alternative Universe that, for me depicts somewhat how I envision real life may eventually pan out (with humans embracing Trans-humanism and developing like FutreTimeLine predictions postulate. Basically I melded the two concepts, FutureTimeLine and Star Trek) I have developed a somewhat revised timeline then presented, but for me it works. I have tracked this timeline all the way through to when the Commonwealth (the organisation that eventually forms) becomes a Type 2 civilization (Kardashev scale). This is where I started my "adventure", 3202ad and the launch of the Citadel-class and just before the second Dominion war. 1976 Eugenic experiments produce a "superior human" (later called Augments) through the use of nootropic drugs, panacea drugs and selective breeding. The Augments have been found to be able to utilize up to 75% of their brain's potential (average IQ is 220) and have developed a large range of physical improvements to base line humans. 1996 Augments are now in their late 20's, and after 20 years of "captivity" escape into the general population and drop "under the radar". They start a "shadow war", first developing a large cash fund, through the use of a next-generation predictive economic algorithm.The program generates over USD $20 million profit from various stocks in the first month of trading. The Augments then begin positioning themselves into places where they can influence global political landscape's and business interests. 2016 End of the shadow war with the Augments gaining control of all major Governments of Earth, as well as the top earning corporations of the world. Khan Noonien Singh establishes himself as Supreme ruler over all of Australasia. Widespread Human Enhancement program implemented across the globe, all those that want enhancement are given it . A percentage of the population refuses and become second class "civilians". **unbeknownst to the rest of the universe late in 2016 Khan is visited (in a dream) by an incorporeal being known only as "Benefactor". Benefactor showed Khan many things that night, things that would change the course of Khan's life. The Benefactor promised to show Khan glimpse's of future timelines, if only Khan would learn from the experience. Khan was shown many things and many possibilities. What Khan was shown included the various future empires (Terran Empire, Terran Republic, Terran Rebellion, Terran Protectorate) as well as how the Eugenics war ended with Khan frozen in a sleeper ship and his eventual death. Benefactor also showed Khan what a "United Federation of Planets" looked like as well as a final paradigm The Galactic Commonwealth. This "vision" caused Khan to have an epiphany, and showed him a new path that he could walk. This allowed Khan to have a unique opportunity to develop life strategies. Khan embraced the opportunity, recognizing the potential. He dedicating himself to studying the past and slowly developed a "paragon Society". Khan also developed a "Code of Conduct", one that was quickly adopted by all Augments. This Code is instilled into every Citizen and is instrumental in preventing Augments from the hubris and megalomania Khan saw in many of his visions. **notes on Benefactor. This is not unprecedented in Star Trek as Archer had "Daniels" who guides Archer towards founding the Federation. I envision Benefactor to be like the Bajorian Prophets, incorporeal, existing outside of our Space/Time, but unlike the Prophets willing to interfere with corporeal beings. 2020 Khan is elected Supreme Chancellor of Earth, United Earth is formed. Massive reforms sweep the globe, Branches are formed, Military, Science, Engineering, Medical. All Citizens are tested and assigned to a branch based on affinity. The best and brightest Citizens from across the globe make massive strides in all technology area's. World War III is avoided. Last edited by WaveMan; 03-17-2019 at 11:30 PM. warp 2 (10 TSL) achieved 6 months later, warp 5 project initiated, project to be launched in 3 years. Orbital ship yards built (San Francisco Ship Yards), capable of having 5 vessels Dry Docked at a time. Warp 5 project is stationed here. Colonies begun on Luna (Earth moon), Mars, mining operations are established on several moons, the asteroid belt and Oort Cloud. *the technology to achieve FTL travel was partly because of a Vulcan Wreck found in storage. A Vulcan Survey ship crash landed in Carbon Creek 1957. The American Government had been studying the wreck for over 63 years, making some progress but largely the technology was at least 200 years ahead and unfathomable by the best minds of the time. Augment Science and Engineering Branch reversed engineered much of the technology, leading to rapid advancements in many fields. 2035 Lauch of NX-01 Constitution. NX-01 is the first of a small fleet that has begun to be built. The hulls of 5 NX-01 are under construction when Constitution is launched. Second off the line will be the Enterprise. These vessels are best described as exploratory battle cruisers, designed as a true multi-purpose space vessel. 2037 First contact with Centaurian's (Earth has been observing Alpha Centauri for several years now, thanks to probe data). Humans eradicate a deadly plague ravaging the planet's. The Centauri except advanced human medical and genetic technology. 2039 Centauri adopt the philosophy of Augments and the Caste system. 2040 United Earth (UE)/Centauri alliance is formed. Imperial Space Fleet (I.S.F.) formed integrating UE and Centauri space fleets. Military Branch is officially named the MACO (Military Assault Command Operations). MACO is adopted as the military arm of the ISF. Advances in cybernetics, eugenics give rise to Homo Novus and Centauri Novus. Humans/Centauri are no longer known as Augments, adopting the appellation Novus (Novi plural) universally. These superior beings are far more adaptable and better suited to the rigors of colonization on different worlds. The Alliance begin a long period of exploration and colonization. Warp 6 project initiated, with a new ship design. permanent colonization of Mars, Venus and Luna. Colonies are founded across Centauri system. A Centauri colony established in Sol System, Earth colony established in Centauri system. Last edited by WaveMan; 03-17-2019 at 11:31 PM. 2067 Khan (now aged 100) is elected as Chancellor of the Alliance. The Alliance now consists of 20 worlds and colonies that are near Earth/Centauri. 2070 First contact with the Andorian's. 2071 First contact with the Tellerite's. 2078 Tellerite's sign a non aggression pact with the Alliance and become trading partners. 2080 Andor joins the Alliance, becoming renowned for being among the finest MACO in the Alliance. Vulcan's are bought to the attention of the Alliance through the Andorian's. 2090 The Alliance solves the Andorian/Aenar birth rate decline, reversing the trend and ultimately saving the race. By 2150 the two races are thriving. 2095 It takes 15 years for the Vulcan to join the Alliance, this was more out a sense of self preservation and practicality rather then any thing else. The Vulcan High Command saw that if they didn't join they would be at best second class civilians, or at worst destroyed by the Alliance. They also recognized that Novi are at the very least equal to or in fact exceed Vulcan's in all respects. The Danobulan's have joined the Alliance by this time as well. They bring advance genetic/medical knowledge to the Alliance, allowing the further advancement of Novi. *Khan puts forth the proposal to form a Confederation, and the adoption of a Covenant, it is unanimously vote in. Terran's, Centaurian's, Andorian's, Aenar, Vulcans, Denobulan's, various colonies(Luna, Mars, Venus, Vega colony, Gaia [known as Terra Novi in the primary universe]), Alpha III, Alpha Eridani II, Alpha V colony. Trading party's are the Tellerites and Halkan. Last edited by WaveMan; 03-17-2019 at 11:32 PM. 2122 A automated Repair station is appropriated, reverse engineering allows advancements in several ship design/technologies. Most notably is the replicator and computer/humanoid brain interface. 2123 Several skirmishes with Klingon's, tensions escalates to the point of near open warfare. The only thing that gives the Klingon's pause is how formidable the Confederation fleet is. 2125 Mars and Venus are being terra-formed. Earth's biosphere has been entirely restored to a pristine state. Weather control grids have been established on all Confederation worlds. 2130 over the next 21 years the Suliban present a continuous threat. 2150 Andorian/Aenars are thriving, though in their Augmented form. 2151 The Confederation loose patience (and have exhausted all diplomatic avenues) with the Cabal's, and destroy them. Only those Suliban that aren't alligned with the Cabal's are spared. 2153 The Xindi make a preemptive strike on Earth. The Earth defense grid is caught unawares and in under 30 seconds over 1 million Citizens are killed. Reeling from the attack the Confederation responds by mobilizing a total of 7 recently commissioned Vanguard-class Heavy Cruisers. 2154 It takes 11 month to resolve the conflict. Two ships are destroyed(1 in battle with the Xindi reptilians and insectoids, the other to spacial distortions). The surviving ships learn of Trellium-D, secure a substantial quantity and line their hulls. The Spheres are destroyed, the Delphic Expanse ceases to exist. The Xindi super weapon is recovered just before it's deployment to destroy Earth. Subspace vortex technology is assimilated. 2160 Romulan's see the new found stability of the Alpha quadrant detrimental to their plans and begin a carefully planned campaign of regional destabilization. This campaign was designed to maintain the status quo, and inflame the conflict between the quadrants major powers. Romulan drone ships are the instruments used by the Romulan's, they are used to instigate border conflicts between all the major powers, Vulcan against Andorian, Andorian against Tellerite, Terran against Orion.Drone ships attack trading/shipping routes across the quadrant. 2162 Rather then destabilizing the region, the plot is uncovered and actually works to bring the Confederation closer together. This forces the Romulan's into open conflict. 2162 Romulan/Confederation War ends after a decisive win at the Battle of Cheron by a Confederation battle group. The Romulan's are humiliated by this victory. The Romulan Neutral Zone is established. 2167 A period of rebuilding after the Romulan war, at least 7 ship yards are established, re-building the war losses. A new class of vessel, and the largest fleet of these new vessels is commissioned, integrating all of the technologies so far learned (including captured Xindi and recovered Romulan tech) Launch date is scheduled for 2190. 2168 ISF Columbia lost to the Caeliar. 2170 period of expansion and exploration. Many viable worlds colonized, and the fleet is rebuilt to far exceed pre-Romulan war numbers. Vanguard-class vessels lead this expansion, with hundreds produced by the ship yards. Citizens of the Confederation are now refereed to as Trans-species. nano-clothing is perfected and utilized through out the Confederation. replicators, transporters are wide spread, hyper intelligent/strong AI computers integrated fully into society. Androids are widespread, and robotic labor utilized through out society. Ubiquitous large scale automation. Strong AI now occupies almost every level of the Government, business, military, manufacturing and service sectors. AI is both the master and slave of all Trans-species. Those that are not augmented have no ability to understand, let alone are capable of a meaningful interaction with the current technology. Last edited by WaveMan; 03-17-2019 at 11:33 PM. 2260 first contact with Galactic Alliance, an Alliance that consists of 12 member species who have just finished a war with an aggressive Arachnid species invading their space. 2280 Galactic Alliance, after being aided by the Confederation in rebuilding efforts join. 2293 Klingon moon Praxis explodes, devastating the Klingon home system. Romulan Republic is attacked by a space Amoeba, devastating Romulus. Khitomer Conference called, Confederation, Klingon, Romulan and Cardassian's attend. Confederation simultaneously aid both the Klingon and Romulan empires, aiding in rebuilding both worlds. Cardassia receives little from the Conference, and feel slighted. Khitomer Accords (2293) are signed by both the Klingon's and Romulan's. 2300 advances in trans-warp continue.Flat Space technology become a reality. Trans-Species genome has been perfected and their potential realized. 2307 Qo'noS and Romulus have been restored, and the addition of the Klingon's and Romulan's to the Confederation forms a true Galactic Power, one that will endure for millennium. The Confederation is now known as the Galactic Commonwealth. 2319 Bajor is occupied by the Cardassian's, the occupation lasts 50 years. Cardassia having been basically left out of the Khitomer Accords felt it had no other choice but occupy Bajor to solve it's resource shortage. 2342 Planet Mecha joins the Commonwealth. 2367 Battle at Wolf 359, first Borg incursion of the Commonwealth. One cube is sent to assess the Commonwealth's potential for assimilation. The cube is destroyed along with 8 ISF vessels. Trans-species find out they are immune to assimilation. 2369 Bajor requests help from the Commonwealth. Benjamin Sisko discovers the Bajorian wormhole. The Commonwealth helps rebuild Bajor, they will become a full member in 2376. 2371 ISF Venturer stranded in the Delta Quadrant. Cardassia and Breen eventually join the Dominion. Millions are killed on both sides, though the Commonwealth proves it is roughly even with the Dominion. 2375 End of Dominion war. The Dominion fought long and hard , but the Commonwealths home territory advantage combined with the brilliant tactical minds of the Trans-Species out matched them. The Founders home planet was decimated (in the Gamma Quadrant), as well as Cardassia Prime and the Breen home world destroyed outright. 2385 recovered Venturer technology integrated into Commonwealth fleet. Hybrid Quantum Slipstream drives perfected, Quantum Induction Cores replace M/AM for most of the fleet. 2389 Borg incursion (7721 cubes sent to destroy the Commonwealth), millions killed, 10% of the Commonwealth fleet destroyed. Even though the Borg suffer horrendous losses they are steadily gaining the tactical advantage, but at the last moment when it looks like the Borg may have secured victory the Caeliar swoop in and dismantle the Collective. 2390 Commonwealth begin reconstruction, which takes 20 years to achieve. A new class of Dreadnought is proposed ( set for launch in 2395) The Colossus class is intended to integrate recovered Borg, Dominion and Delta quadrant technologies. They are also the largest vessels ever conceived by the Commonwealth. 2395 Launch of the Colossus-class Dreadnought. 2396 This year marks the Commonwealths return to the Delta quadrant. Late 2396 an envoy wing (5) of Colossus-class vessels retrace the journey of Venturer, delving deep into that quadrant. This group's mission is to open a dialogue with many of the species in region, specifically the Voth. They are also tasked to assess the impact on the quadrant with the Borg Collective having been dismantled. 2400 The Commonwealth official forms the Department of Temporal Investigation (DTI), though an "unofficial" DTI has been operating for at least 100 years. The DTI is tasked with protecting the integrity of the Commonwealth time line. Coaxial drives perfected, and is now the preferred FTL drive for the Commonwealth. 2410 The Commonwealth has recovered from the Borg Incursion, and again begins to expand. 2411 Ship regeneration is perfected (recovered Borg Technology) and all vessels are equipped. 2450 Galactic Commonwealth now spans across most of Alpha and Beta (spanning 25,000ly) quadrants with over 500 member species and hundreds of trading partners. 2452 The Commonwealth and the Voth form an alliance, one that is unlike any other in the Commonwealths history. The Commonwealth agree's not to expand into the Delta quadrant. The accord reached allows both species to share technology, culture and information. 2500 Mars and Venus are now completely terra-formed. 2521 Boarder conflicts with the Sheliak Corporate escalate into all out war. 2523 The Sheliak war ends with their resounding defeat. The Sheliak Corporate is dissolved and their territories absorbed into the Commonwealth. 2535 Quantum Slipstream Drives now perfected, and the Commonwealth adopts them as their preferred FTL propulsion for all vessels. QSS allows Commonwealth vessels to travel (cruise) at 300ly/hour. 2541 Quantum Slip Stream Communication Net work is established through out Alpha and Beta Quadrant. 50% of the Milky Way has been mapped (alpha and beta quadrants completely mapped), and automated probes are mapping the other half. Partial mapping, based on Venturer's journey has been achieved in the Delta quadrant, and Gamma quadrants (because of the Bajorian wormhole, though limited because of the Dominion). 3000 Commonwealth science has safely harnessed the power of Omega, via the use of harmonic resonance chamber's, designed to use Omega's own resonance frequency (1.68 terahertz) as well as emit the inverse frequency, which promotes spontaneous stabilization. These chambers are also capable of dissolving Omega's inter-atomic bonds, thus safely destroying the contained Omega particles, if containment become an issue. 3007 Sol Dyson Project is begun. It take 193 years to complete, 10 years after the Sol Sphere is started the Vulcan, Andor, Kronos and Romulus Dyson Sphere Projects are started. 3200 Sol Dyson sphere is completed. This hollow shell is of such gargantuan proportions that its radius stretches from the Sun to beyond the orbit of Mars (the Sphere has a 2 AU radius). It now surrounds all the inner rocky planets, all of which have been Terra-formed. Under the direction of Quantum AI computers, vast swarms of automated, self-replicating ships have built it - using material from Mercury, Uranus, Neptune (all of which were completely consumed for Dyson construction) the asteroid field, Kuiper Belt and Oort Cloud as well as the harvesting of Neutronium from tens of Neutron stars. Portions of the interior surface have been Terra-formed, establishing environments suitable for a vast array of biological life forms. Vast holographic sails have been put in place above the habitat to regulate a night/day cycle. (these cycles are coordinated with the orbits of the planet's, which cast shadows on the habitat as well, again establishing periods of "night"). The three planets (and their moons) that remain inside the Sphere have had all their obits made completely circular. The humaniod form has been perfected, Commonwealth science has integrated the best genetic features from hundreds of member species into the one paragon form. 3202 Launch of the Citadel-Class Starship. These vessels are design to be trans galactic explorer's, and will be used to explore galaxy's in the local group. (with in 10m LY). Colonies have been established in several of the close Galaxies in the local group. Gateway's (based on a recovered Iconian Gateway technology) have been establish on planets all across the Alpha and Beta quadrants, allowing rapid transit across these two quadrants. It now only takes hours to travel from one side of the Milky way to the other (100000ly). Commonwealth Gateways have been found to have a 10000ly maximum range, and are powered by Omega Cores. The technology is slowly evolving, and will eventually equal the Iconian's. 3211 start of the second Dominion war. Last edited by WaveMan; 03-17-2019 at 11:34 PM. 1996 Augments are now 20, and after 20 years of "captivity" escape into the general population and drop "under the radar". They start a "shadow war", first developing a large cash fund, through the use of a next-generation predictive economic algorithm.The program generates over USD $20 million from various stocks in the first month of trading. The Augments then begin positioning themselves into places where they can influence global political landscape's and business interests. Can you honestly tell me you think that Khan was only in his early twenties in Space Seed? Montalban was in his mid-40''s. I think it far more likely that Khan was born in the 1950's, probably as a product of escaped Nazi scientists continuing on with Herr Doktor Mengele's experiments in South America. This would also explain Khan's Spanish accent. He may well have been of Punjabi extraction (proto Indo-Aryan bloodlines), but if he actually was a Sikh, he would have adopted the religion as an adult, most probably for polititical advantage in coming to power in Asia. A South American connection isn't actually necessary—there were Indian nationalists with plenty of contact with the Third Reich and Imperial Japan. Japan, after all, was looking for local nationalists to give their invasions of other Asian countries the pretext of supporting local anticolonialists (while ending up fighting a lot of the preexisting anticolonialists because they were often Communists). One can propose an even-secreter version of Unit 731 (based in, say, Singapore during the war) that achieved breakthroughs in genetic modification during and immediately after the war, which may have ended up falling into the hands of whatever shadowy cabal created Khan to act as a genetically enhanced footsoldier after the Partition or whenever. I based the time line on the progression in All Our Yesterdays, which initiated the time line with the start of the shadow war in 1993-1996 (start and finish of the Eugenics war). It also stated in All Our Yesterdays "In 2067, at age 100, Khan Noonien Singh" so by my math Khan was born in 1967. Plus I only loosely based it on the prime universe so there are going to differences. So YES in MY time line Khan (and all the other Augments) are only in their late 20's by 1996. But a pedantic argument over Khans original age will not achieve anything, in this scenario Khan was born in the "60's rather then the '50's. As far as the "ponzi scheme", the predictive algorithm could well be, it makes little difference if it worked and generated cash to fund the Augment's shadow war (and rise to power). But from what I know of Ponzi schemes (which pay returns from new investors, rather then from profits made) the program doesn't work like that. Last edited by WaveMan; 03-22-2015 at 12:18 AM. So does the campaign start in 2367? Are the PCs starship officers like in a regular campaign, Timefleet operatives...? I thought starting it out in 3202 (as per the OP), and like a regular campaign crewing one of the Citadel-Class star ship's , setting off to explore outside our Galaxy. I have written up, as per Space dock (and taken some liberties to contend with the technology differences), the Citadel (explorer city ship/dreadnought). 3200 Sol Dyson sphere is completed. This hollow shell is of such gargantuan proportions that its radius stretches from the Sun to beyond the orbit of Jupiter. Under the direction of a Quantum AI computers, vast swarms of automated, self-replicating ships are building it - using material from the asteroid field, Kuiper Belt and Oort Cloud as well as the harvesting of Neutronium from tens of Neutron stars. I see 2 problems with this. #1 Having a Dyson sphere of that radius would be useless as the inner surface would be outside of the Goldilocks zone of habitability and the sun is much weaker at Jupiter's orbit. 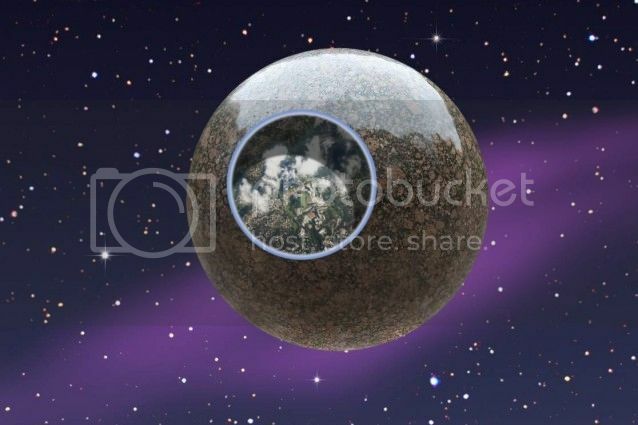 #2 A dyson sphere with a radius of 1 AU (Earth Orbit) would pretty much use up all the material in the Sol system. One with the radius of 5.2 AU (Jupiter's Orbit) would use up the material's of several star systems. A 1AU Sphere would also have 3.52 x 10 to the 12th more surface area than that of the Earth itself (Not factoring in oceans), which would be way more than anyone could use. thanks for your input Karg, and I agree, I put that in as per the Futuretimeline prediction's website and thought it a bit ridiculous while posting. I will change it. here it is in it's original form, read it for your self. This gives a bit of back ground for my thinking. I wanted to stay true to both plot lines. Last edited by WaveMan; 03-25-2015 at 03:50 PM.